Missing teeth can be embarrassing, causing people to hide their smile and lose their self-esteem. The space created by missing teeth can easily become infected with bacteria, causing other teeth to shift out of place, and making it difficult for people to speak or eat correctly. Dr. Jai and the staff at Healthy Smiles of Georgia are sensitive to the hardship a missing tooth can create. We provide dental implants so that our patients can regain their self-confidence, improve their health, and approach life boldly. Installing implants is a complex procedure and patients throughout the 30004 area trust us to replace their missing teeth due to the stellar reputation of Dr. Jai. 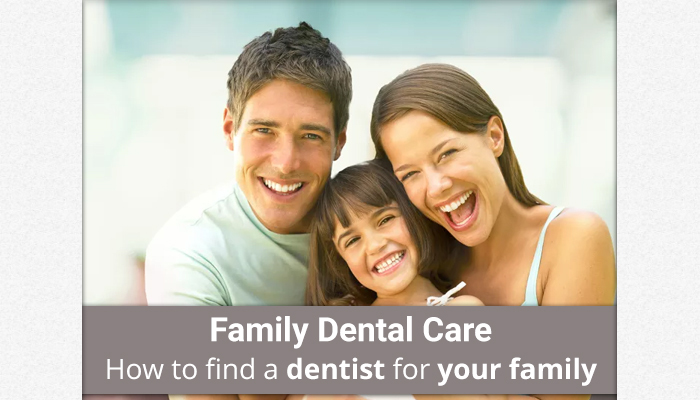 We know that there are multiple dental providers to choose from so Dr. Jai and the staff at Healthy Smiles of Georgia are constantly looking for ways to improve the overall experience of our patients. Our office is conveniently located in Alpharetta and we treat patients throughout Georgia, offering them the opportunity to restore missing teeth in a way that looks natural and beautiful. 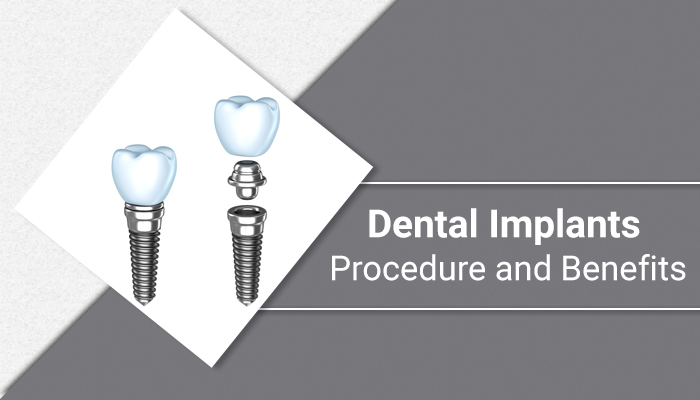 The Process of Installing ImplantsIf one or more of your teeth have fallen out, you may qualify for dental implants as a way to permanently replace the missing teeth. In order to find out, schedule an appointment with our Alpharetta dentist office by calling (678) 784-0806. Dr. Jai will examine your mouth and jawbone to determine if the procedure is right for you. Before you can get started, your gums need to be healthy, and your jawbone needs to be strong. If, Dr. Jai identifies any cavities or signs of gum disease, this will need to be treated first.Once you are cleared for the procedure, the staff at Healthy Smiles of Georgia will take an impression of your mouth so that the new teeth can be created in a dental lab. Each tooth will be made to match the size and shape of the surrounding teeth along with having a perfect color match. This way your smile will appear completely natural once done. Patients throughout GA are delighted with the results since no one can tell the difference between which teeth are real and which ones are synthetic. The next step in the procedure is to have a metal post implanted under the gum line. This aspect of the procedure is what sets a implant apart from other forms of cosmetic dentistry and Dr. Jai is a true expert at performing the procedure. The metal post is secured to the jawbone in order to create a durable, synthetic root system that rivals the strength of natural roots with one exception – metal can’t become infected. Over the course of a couple of months, the metal post and jawbone will fuse together. This creates a level of durability that cannot be replicated in any other type of procedure.Afterwards, Dr. Jai will secure the new synthetic tooth to the metal post at the surface of the gums. The new tooth is attached so securely, that patients can eat their favorite foods, maintain an active lifestyle, play sports, and more, without fear of their tooth becoming loose or falling out. Patients throughout GA enjoy the benefits that come from never having to worry about their tooth again. Patients in the 30004 area, trust Dr. Jai and the staff at Healthy Smiles of Georgia to provide dental implants in a way that is comfortable and functional. With any type of surgical procedure, it is important to visit an expert and by doing so you will reduce your risk of complications or the implants not functioning properly. Dr. Jai takes the time to make sure that every aspect of the procedure is completed correctly – the first time. Caring for Dental Prosthetics and ImplantsOnce implants have been installed, they are extremely easy to care for. We hear from patients throughout Alpharetta with questions that range from “Do implants come out” and “How do I brush my teeth”. The answer is fairly simple. Since dental prosthetics are installed by creating a synthetic root system, they are durable and secure and will not fall out or become loose. This means you can go play basketball, run in a 10k, and wrestle with your kids – without worrying about your tooth coming out.In order to care for your implants, we advise patients throughout Georgia to brush and floss their teeth throughout the day like they normally would. Additionally, it is important to schedule dental exams and cleanings with Dr. Jai at least twice a year. The staff at Healthy Smiles of Georgia will help to clean your teeth and ensure that they stay healthy. This step is incredibly important because while dental prosthetics cannot become infected themselves, the teeth around them can. If, in the future, you suffer from a severe case of gum disease or a dental abscess, the infection can spread into your jawbone. This puts your implants in jeopardy because in order to stay secure, the jawbone must be in good health. If it becomes infected, your dental prosthetics and all of your teeth will be in jeopardy.If you currently have implants and your teeth start to hurt, call 678-762-0690 to schedule an appointment immediately. This way we can identify any infection and treat it before it can spread into the jawbone. As long as you follow these simple preventative care steps, your implants and natural teeth should remain in good health. ConsultationIn order to find out if implants are right for you, call 678-762-0690. Dr. Jai and the staff at Healthy Smiles of Georgia are friendly, welcoming, and will take the time to educate and inform you of all of your options. Patients throughout Alpharetta GA trust Dr. Jai to replace their teeth in the way that helps them to accomplish their lifestyle goals. That means that Dr. Jai will make a detailed recommendation about which direction you should go for replacing your missing teeth. Just remember that you can have a beautiful and natural looking smile by working with a professional implant dentist, and if you are suffering from missing teeth, we can help you by transforming your smile. Schedule an appointment and let us transform your smile into something as beautiful as you are. Q: I need to replace two missing teeth next to each other. Can I just have one implant placed and attach it to one of my natural teeth and make a bridge?A: Generally, this is not a good idea-over the years we have learned that it is generally much better not to attach implants to teeth. We frequently attach implants to each other, which can improve strength and works well. So in a case like this, although it may be more expensive in the short term to place two implants instead of one, the long-term success is likely to be much better with the two implants.Q: I lost my upper back teeth on one side and have gone for years without doing anything about it. My sinuses always seem to bother me more on that side than on the side that I have back teeth. Could these problems be related to one another?A: In a large majority of people who have had their upper back teeth missing for a long period of time is the increasing downward growth of the maxillary sinus. At birth it is the size of a pea, and progressively grows as the skull matures. This growth is at the expense of the surrounding bone. If you are considering replacing those upper back teeth with fixed teeth that stay in all the time, it may be necessary to perform a sinus elevation procedure to allow room for placement of dental prosthetic implants into this area to support those teeth. This involves placement of bone and/or bone substitutes into an area which was previously occupied by the lower part of the maxillary sinus. Most importantly, this procedure increases the available bone use to place implants and restore the missing back teeth.Q: I’ve had dentures for several years and have lost a lot of jawbone. My lower dentures are floaters and I need help. Is there still hope for me?A: In most cases, with the new options available today in the field of dental prosthetic implants, some form of treatment can be done. We encourage people to get help as soon as possible if they are already having some problems with their current situation. These problems include: excessive use of denture adhesives, chewing only soft food, unable to taste some foods, constant mouth sores, unhappy with the appearance of one’s teeth and bite position (in some cases the nose and chin getting closer together). The sooner the problems are corrected with dental prosthetic implants the more choices one has available for treatment. If you have any or all of the above symptoms, implants could very well be the answer for you.Q: I am missing all of my teeth and am now wearing a full upper and lower denture. I can no longer tolerate my lowers. Will I need an implant for every tooth I am replacing on the lower jaw?A: It is not necessary to have an implant for every tooth that is being replaced. The number of implants necessary to provide support depends on the type of implants used and the type of teeth (removable vs. non- removable) that will be attached to the implants. A thorough oral exam and panoramic x-ray is all that is necessary in most cases, to determine which implant can be used and how many must be used. Sometimes additional x-rays or CT scans are used in more complicated cases.Q: I consulted a dentist several years ago about using implants to replace my lower denture and he told me that I did not have adequate bone available to place enough in-the-bone implants without danger of fracturing my now fragile jawbone. Are there any alternatives?A: Because of the advances in the field of implantology, there are now more choices and techniques. It’s the rare person that cannot receive an implant or a combination of implants. Today we have available many types of implants designed to accommodate multiple problems.Q: I had a root canal on a tooth that fractured and now it has to be removed. Can it be replaced with an implant or do I have to have a bridge or a partial?A: Teeth that have root canals can fracture more easily than other teeth because they are weaker and somewhat dehydrated. They can sometimes be as brittle as glass. In the past the best available treatment was to remove the tooth and file down the adjacent teeth and make a bridge – caps on the adjacent teeth with an attached “dummy” tooth in between. Sometimes this still is the only way. However, in many cases an implant can replace the fractured tooth and no teeth need to be ground down at all.